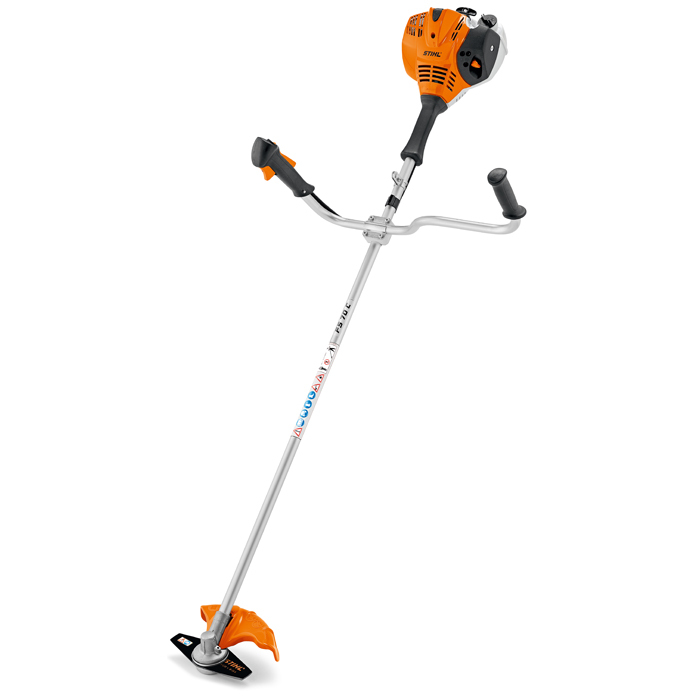 The Stihl FS70 CE is extremely robust 0.9 kW petrol brushcutter with bike handle. 2-MIX engine consumes up to 20% less fuel and 70% less emissions compared to conventional two-stroke engines without 2-MIX technology. ErgoStart simplified starting procedure for increased comfort. Optimised trimmer angle for working on large areas of tough grass. Supplied with a Nylon Head and Metal blade for easy switching to tackle tougher areas.